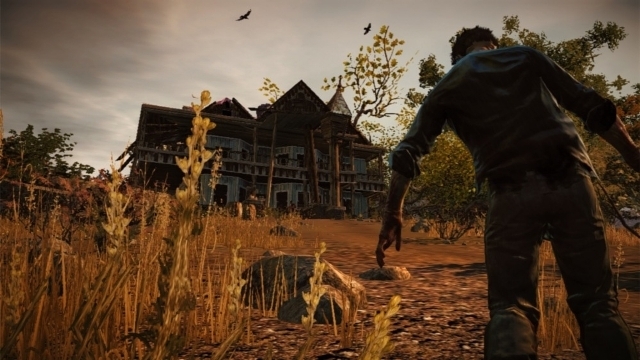 Announced all the way back in August of 2014, Undead Labs’ State of Decay: Year One Edition is an up-ressed version of the 2013 zombie-survival game along with its Breakdown and Lifeline DLC. Undead has redone all of the game’s textures and bumped up its resolution to 1080p for this remastered edition. And although parts of the environment still draw in as the player gets closer to them, that now occurs much farther into the distance than before. While performing all of this work the studio discovered something that was as unexpected as it was crude. “Some of our contractors worked a ridiculous amount of genitalia into the background,” Undead Labs Senior Designer Geoffrey Card told XBLA Fans at PAX East this past weekend. 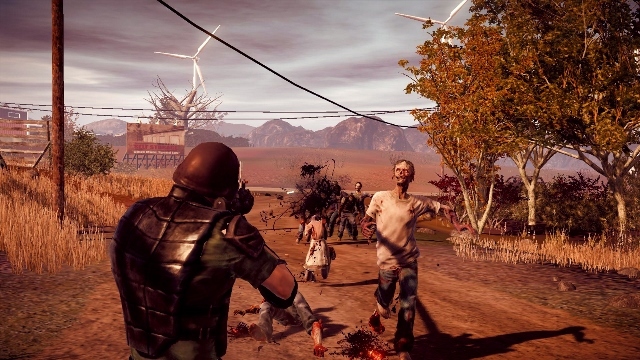 Since Seattle-based Undead was a small indie studio with a vision for an open-world game, it needed to turn to outside help in order to complete development of the original State of Decay. Apparently, unbeknownst to Undead until recently, some of those hired guns secretly and liberally drew penises into the game’s backgrounds. The phalluses were not visible in the original release due to its lower resolution and lower-quality textures, so they slipped through testing unnoticed and made their way into the final game. When the enhanced resolution and texture quality brought the penises to Undead’s attention the studio began working them out of the game. The genitalia is not visible in any publicly available version of the game. New weapons like an assault rifle with underside grenade launcher and new vehicles like SUVs have also been added. In our playtime with the game XBLA Fans got to ride around in a “Jurassic Junction” SUV clearly inspired by those in Steven Spielberg’s Jurassic Park movies. Of course, it was difficult to be too surprised by the existence of the dinosaur-themed SUV after Card told us about what used to be jutting out of the game’s background. Update: Some readers have asked why the penises weren’t discovered in State of Decay‘s higher-resolution PC release. XBLA Fans has followed up with Undead Labs and will update this story should the studio issue a response.